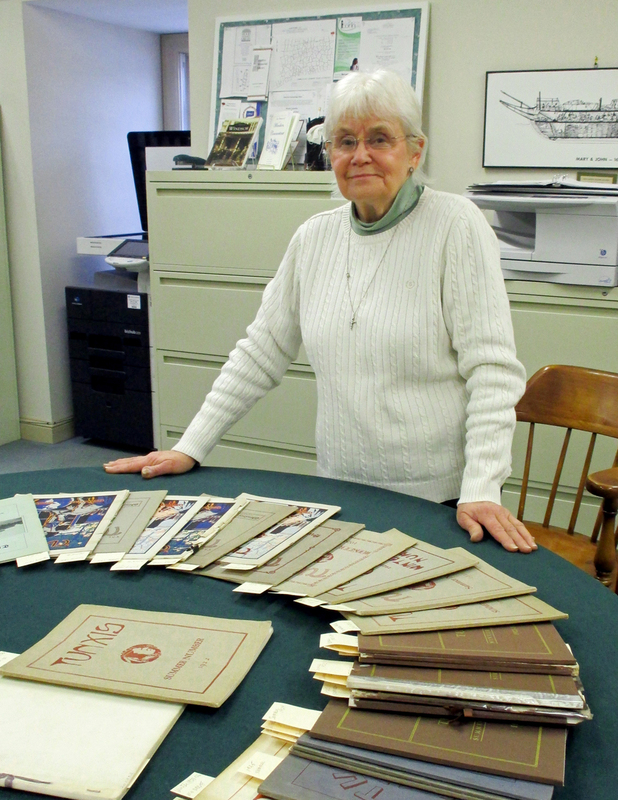 Volunteer Sandy McGraw helping organize our Tunxis yearbook collection. Photo by Christina Vida. This profile is also a fond farewell as Sandy has recently retired from her volunteering duties here at the Society. 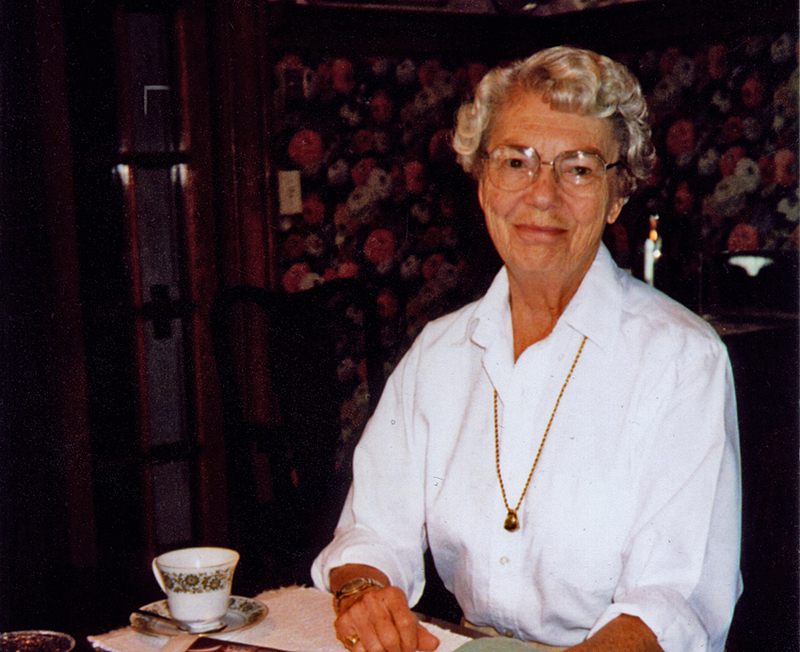 We want to thank her from the bottom of our hearts for her many years of dedicated service. 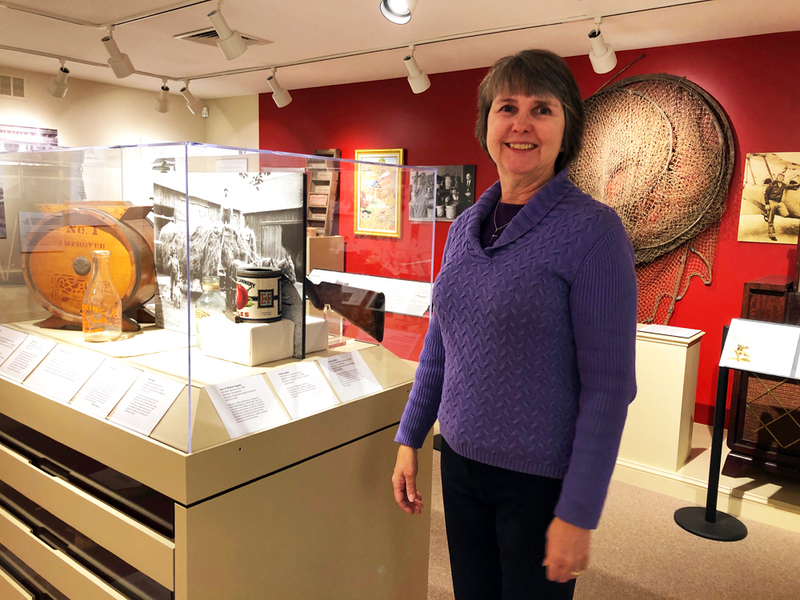 We and the countless people she has helped with their genealogical research so appreciate the knowledge, effort, and humor that she brought to the library every week. It truly is a privilege and honor to work together to preserve and share Windsor’s history. How long have you volunteered for WHS? I began around 2002, a year after retiring, and finished up projects I had been meaning to get to like wallpapering and sewing some curtains. I just needed some room to get used to another mode of lifestyle before delving into a new one. I liked the once-a-week routine, the projects I did, the friendly people I worked with, the several different tasks I learned about, like how to attach photos to the proper PastPerfect profiles and some other types of records in the library. Some of the projects I did like, like the Trades and Professions of the Windsor Founders. What connection do you have to Windsor history, if any? In researching my mother’s side of my family tree, I found my Mills grandfather’s line led back to two of the Founders of Windsor, the Gaylords and the Porters. I might have had three Founders if Peter Mills, known as “the Dutchman”, had arrived in Windsor about 9 years earlier! I found the genealogy done by Helen Schatvet Ullmann who did much work for the NEHGS. 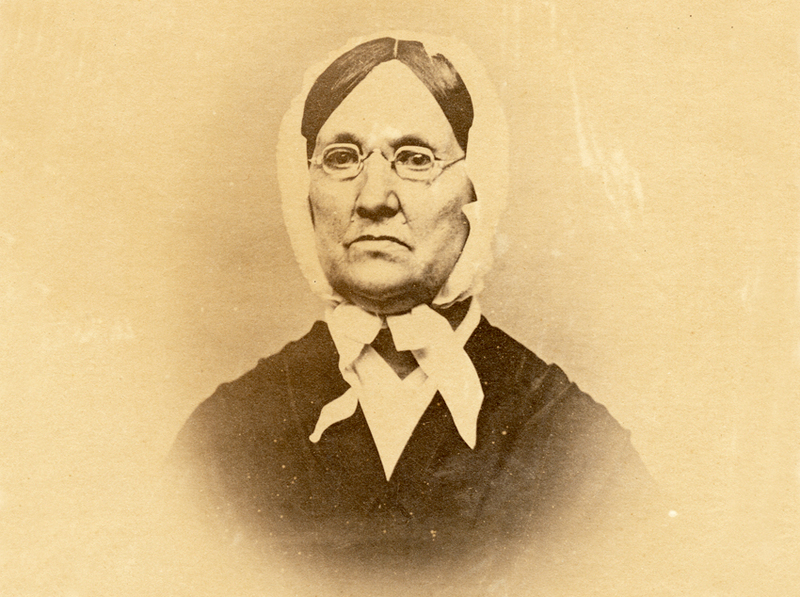 She had only come up to my great-great-grandfather in her book so I contacted her and provided her with the Mills line from him to myself. She had thought my grandfather never had any children….hello!…my mother! He had never married my grandmother because he was legally married to a lady in Boston whom he had abandoned! Do you have any advice for someone interested in volunteering but might be nervous about getting started? I enjoyed my 16 years at Windsor Historical Society…until age caught up with me! Anyone who is interested in history can become a volunteer and work with many different people who come into the library to do research on many kinds of subjects pertaining to Windsor history. One can get a feeling of fulfillment knowing they helped someone find some needed information and from the enjoyment of meeting people from all over the nation and perhaps even the world!